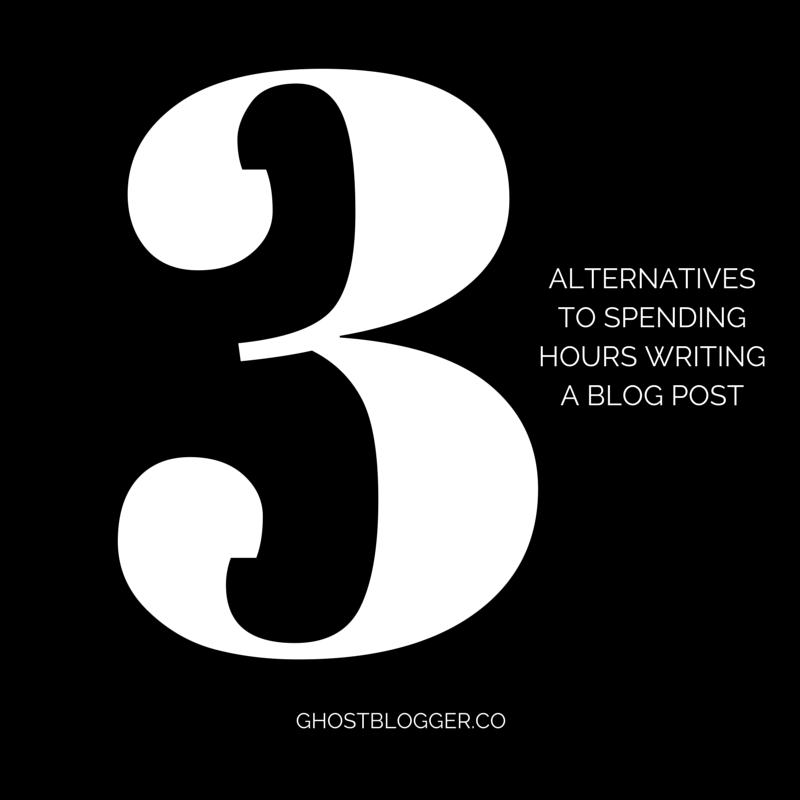 One of the biggest obstacles many of my clients face is finding the time to blog as often as they’d like. For various reasons, people like to aim to do at least one blog post a week — but finding the hours and energy necessary to create mind-blowing content that frequently can be a challenge. But here’s the secret: You don’t have to write epic blog posts every single week in order to post something every single week. There are alternatives. The “trick” here is to create content buckets you can easily fill in addition to the ones you fill with your own, original content. The same way you might share famous quotes for “motivational Monday” or old photos on “throwback Thursday” on your social media channels, you can find ways to create content categories, or buckets, on your blog that you don’t have to create from scratch. It may seem like a cop-out to do a regular “links post” on your blog, but consider this: your readers are busy, and as much on information overload as everyone else. If you can become their filter, providing them with the best content relevant to their interests from around the web in one place, that’s a valuable service. Become an info curator as a service to your readers. It’s true that finding, sorting, and creating a post with these valuable links takes time, but there are ways to make it easier and more efficient. You can create a special swipe file in Evernote to save articles you want to link back to, follow specific accounts on Twitter or on a Twitter list to use for inspiration, or even create a circle on G+ called “Curate” with only you as a follower, and share interesting content to that circle for later use. Once you’ve got a system down for finding and organizing these links, you should be able to create the blog post in less time, perhaps, than writing an epic post from scratch. You can even delegate some of the work to a VA and add your own commentary before the post goes live. Don’t forget: links posts done well can be an excellent promotional tool for your blog as well. Lots of people talk about writing and submitting guest posts, but have you considered accepting them? Accepting guest posts is an excellent way to get quality content for your blog (that you don’t have to create) as well as promote your blog to another audience of readers — because, of course, the person guest posting will want to share her post with her audience as well. It’s important to control the quality of the posts you put up, however; they’re still on your site and will reflect well or poorly on your brand. You can start by approaching people you know and admire and asking if they would be willing to contribute an article. You should also create a page on your site to let other potential guest posters know that you are open to submissions, and give some guidelines as to what you’d like to see. You may spend a little time editing or adding an introduction to a guest post, but the time commitment is far less than creating a new post yourself. You can also delegate the task of getting the post ready (pasting in content, adding links, finding photos, etc.) to your VA to save additional time. Different people consume information in different ways. There are visual learners, auditory learners, and kinesthetic learners. There are people who prefer to watch videos or listen to podcasts, and those who would prefer to read an ebook. There are people who love looking at graphs, and those who need the data explained to them. You can reach more people by experimenting with different media formats on your blog. If writing blog posts is a challenge for you, you may also find that other formats are easier for you to create. Videos and podcasts are the two biggies here, but don’t limit yourself. Consider what would work best with your content and business. If you are an artist or designer, you might create visual inspiration mood boards to share. If you are a speaker, you might share segments of your powerpoint presentations through a service like SlideShare. You might create printable freebies (checklists, quotes, artwork, etc.) or just design beautiful quote images that your fans can share. You could do an interview series or even a series of webinars in lieu of a week’s blog post. There are lots of tools out there to create things like charts, graphs, infographics, interactive maps, timelines, and more. You just need to be a little bit creative to put these to use in your business. A word of caution here, though: if your goal is to save time, don’t get sucked into playing with all the neat tools out there. It might be better to share someone else’s infographic or SlideShare presentation with your own commentary than to spend the time and energy to create your own. I’m a big believer in quality over quantity, so if you’ve only got one truly useful or entertaining blog post in you per month — but you want to post more frequently for SEO and to keep your audience engaged — then you’re going to have to get a little bit creative. But by designating these sorts of content buckets ahead of time and making them regular features on your blog, your audience will come to expect and appreciate these posts as much as they do your original writings. This idea isn’t about slapping repurposed content up on your blog and calling it good, but rather finding alternative ways to provide quality content for your audience that don’t involve you spending hours writing a blog post. Do you have other ideas for less writing-intensive blog post types? I’d love to hear your thoughts in the comments below! great ideas! I would have to figure out what kind of guest posters I would want for my blog! Thanks Teresa! Try thinking sideways a little bit about the guest posters you might want. Don’t look for people in your industry, necessarily, but people whose industries are related to yours. For example, a yoga studio might partner with a massage therapist or a nutritionist. As a copywriter, I might partner with a graphic designer or a brand strategist. I’m a writer, so I feel the pressure to write, but I get stuck too. I’ve meant to do some curated posts, even if it’s not a regular thing. I even started keeping file of things I wanted to use, but I never did those posts (my mind is now circling around things I’ve read recently that I might use). List posts can be fun (and a little quicker) sometimes.